TO VIEW THIS WEBSITE IN IT'S OPTIMUM VIEW, PLEASE TURN OFF COMPATIBILITY VIEW IF YOU ARE USING INTERNET EXPLORER. Anso Aluminium Bloemfontein cc is the official appointed stockist of Wispeco, Origin and GMA products in the Free State, Lesotho, Northern Cape and parts of the North West. Anso opened its doors in January 1997. Our mission is to do honest business with all clients, big or small, by means of friendly and excellent service, backed by quality products at competitive prices. We also offer the client installation services on most of our products. Quality workmanship is guaranteed. Our customers are very important to us, therefore we will do our best to be the best in our industry. Together we can grow by supporting one another. We invest in happy customers. 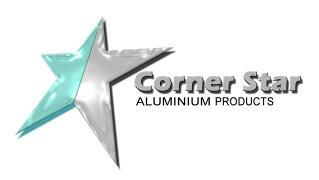 We are suppliers of Coner Star Aluminium, Wispeco and Origin products.